Being on the go is a terrible reason to have to give up your music creation tools. 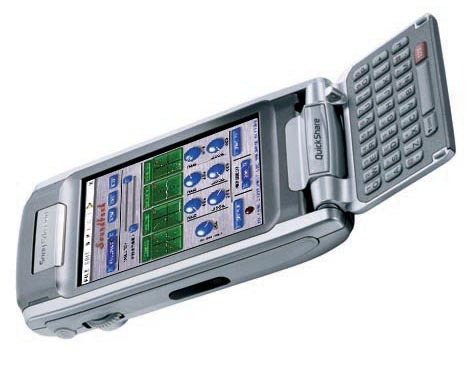 Syntrax is a popular solution, with a sequencer, a synth, and a sample editor in one software package for Windows Mobile (PocketPC) devices and Symbian smartphones from Nokia, Siemens, Sony Ericsson, and Motorola. Now, this popular package is free. Indeed. And not only does this work nicely on your new fancy smartphone, it’s a great way to resurrect a retired model (ahem, broken contract), especially as that’s an opportunity to remove any nasty software installed by your carrier. Could be quite useful as a sketchpad, or even for throwing in some extra tracks as a set. And yes, this fits squarely in the category of things you can’t do with an iPhone. (What is it about technological progress that often leaves you with less?) Many of you are big fans of the not-free but well worth the $16-27 Chocopoolp Software for Palm/Treo, including the legendary Bhajis Loops. I do wonder what will happen to them when Palm OS goes away, in favor of Linux; maybe a mobile Linux port?